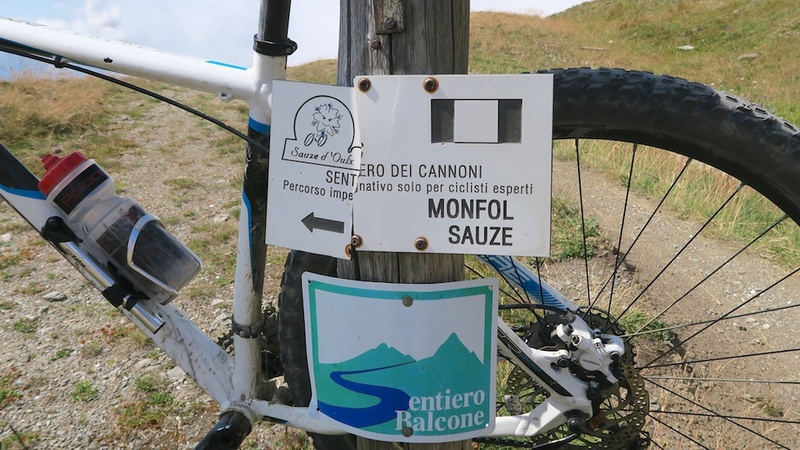 A few weeks ago, I cycled the wonderful high altitude, historic, Italian military roads: Strada dell’Assietta & Strada Militare Colle delle Finestre. Truly one of the greatest rides I’ve ever done. Highly recommended. Details here. 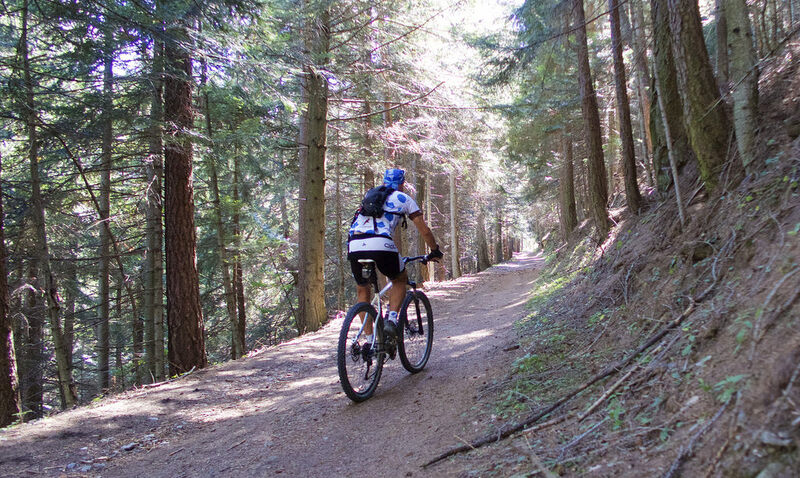 During that ride, a couple of friendly Italian cyclists had enthusiastically described their favourite way to climb up to Strada dell’Assietta (there are several options): through the Parco Naturale Gran Bosco (big woods) di Salbertrand. Unpaved but “smooth as Wimbledon” …. which when said with an Italian accent is irresistible. 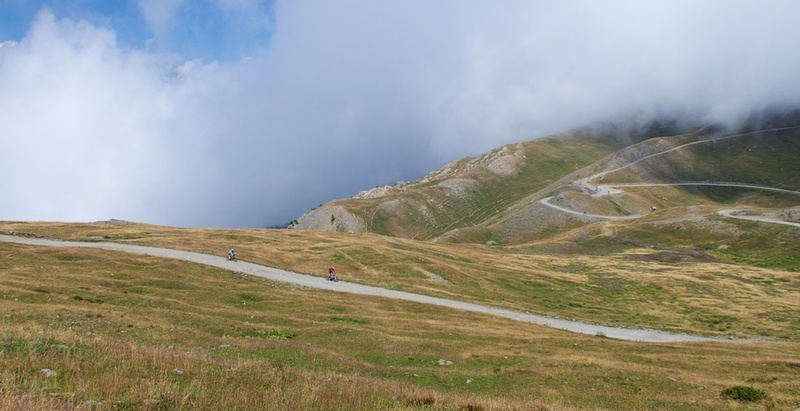 The road – starting near Salbertrand (1032 metres) – joins the Strada dell’Assietta at Col Blegier (2381 metres). The entire route to Blegier is closed to motor vehicles. Always. At least 40 hairpins? See map below. It is smooth. More dirt than gravel. It clearly gets maintained. 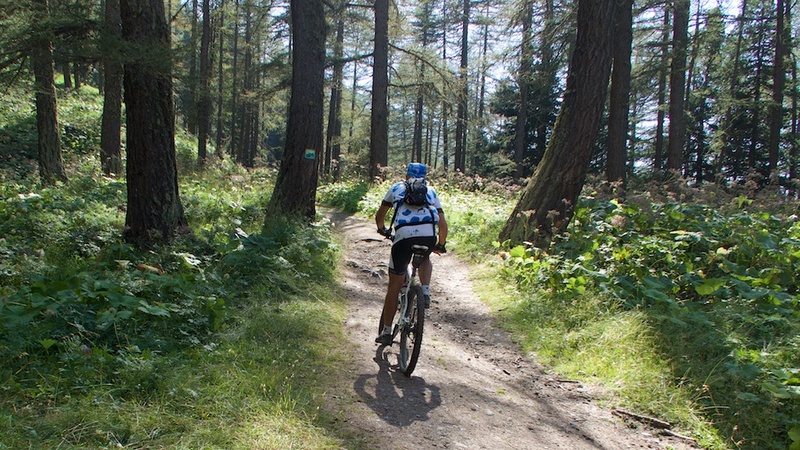 It does get rougher higher up: It requires a mountain bike. It is deserted, especially lower down even during the current high season. The first 8 kms were silent. Paradise. There is a hiking trail head (cars/parking) at Ser Blanc (1731 metres) and near there I saw quite a few hikers. The summit, Col Blegier, is a junction to the amazing Strada dell’Assietta. 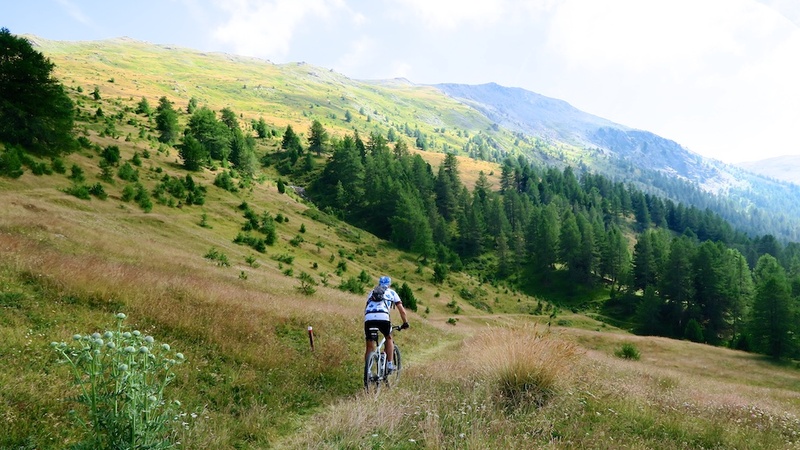 The only “flaw” to this route is that is joins the Strada dell’Assietta mid-way. So if you have never ridden it, I’d suggest my other route (linked above). 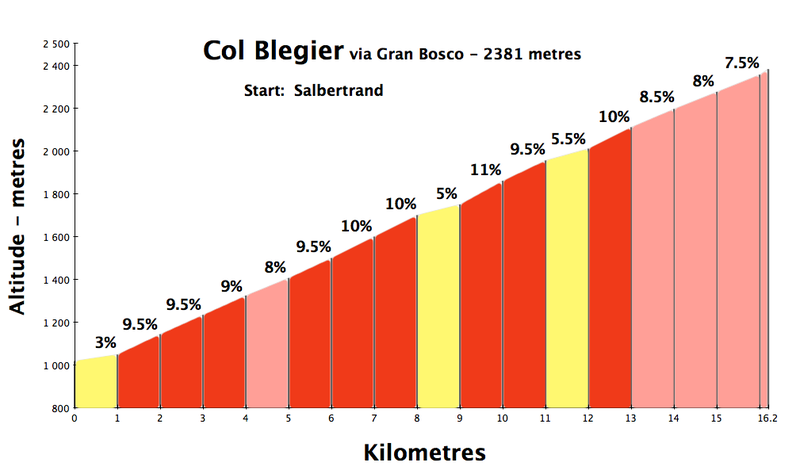 The profile above is just for the Gran Bosco road to Col Blegier (2381m). 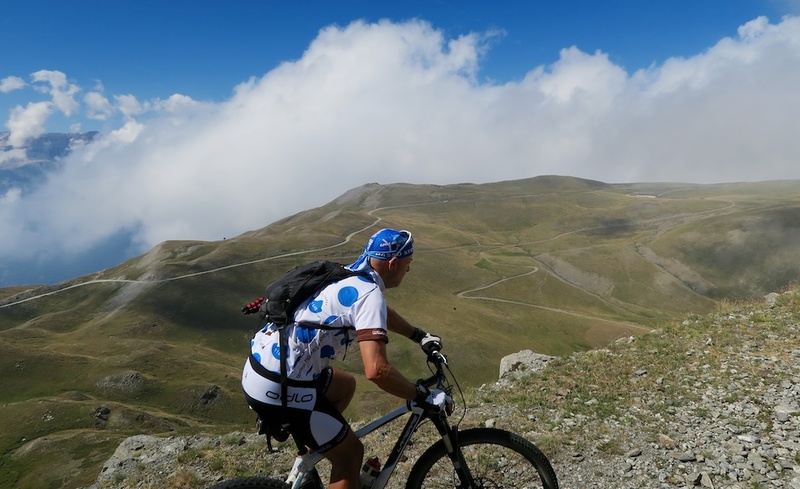 But the mapped route goes much higher (2615m) once it joins the Strada dell’Assietta. At Col Blegier, I decided to turn left on the Strada dell’Assietta towards Testa dell’Assietta, as I was seriously thirsty and the Casa Assietta (2500 metres) – a farm just before the summit – is the only place for drinks/snacks in the area. Next, for completeness, I visited Colle dell’Assietta (2472 metres). Here the road splits, and I was again drooling at the start of the Strada Militare Colle delle Finestre that I had cycled my previous visit. But today I was a little less ambitious. I turned around, but did add a detour: Climbing to the summit of Monte Gran Costa (2615m; see map) to visit the considerable Fort ruins – built in the late 1800’s it could accommodate 200 soldiers. There are lots of ruins along the entire Strada dell’Assietta. In my other Assietta post I visited several forts and climbed to the Testa dell’Assietta monument commemorating the 1747 Battle of Assietta. Finally, exactly at Col Lauson (2497m), I began my descent. I had mapped out a route descending the Strada dei Cannoni (Route of the Cannons). The sign suggested it was only for expert cyclists. Yikes. But I “bravely” plunged over the edge. It is more a single-track hiking trail than a road. But – trust me I am not talented – it was not difficult. 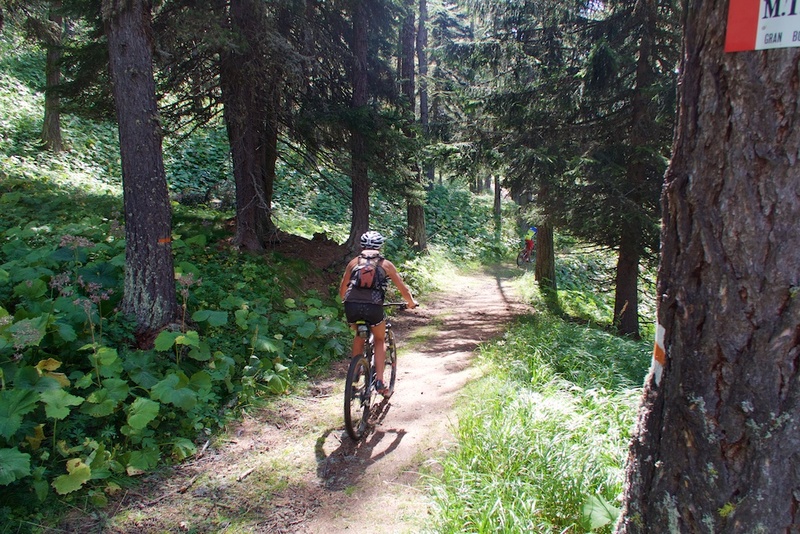 And I enjoyed myself flying through some high altitude fields, then back into the woods, eventually rejoining the Gran Bosco road at roughly 2000 metres. This entire route is superb. Beautiful, quiet, challenging, ZERO cars/motorcycles, great views: perfect. 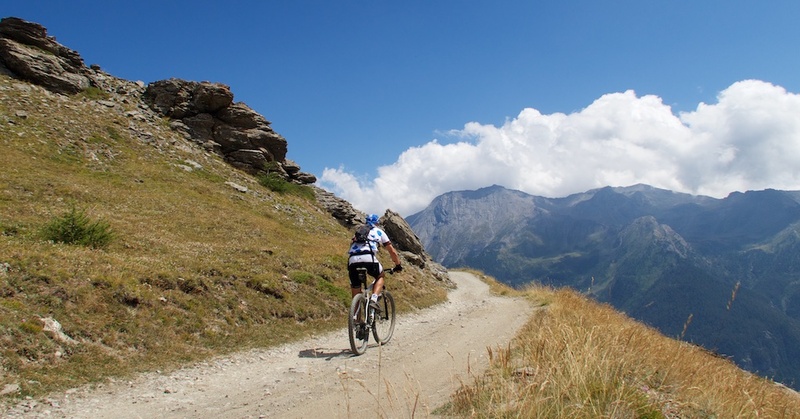 And for the more ambitious, one could easily construct bigger loops via Colle delle Finestre, or Col Basset, etc.